When a champion shotgunner like Robbie Purser gives advice on how to improve your chances hunting birds, smart hunters listen. Before setting out to hunt doves, pheasants, quail, ducks, geese or any of the other game birds, there are a few things hunters can do to improve their chance for success, according to Purser, who is also on Browning’s pro staff. The fit and feel of a shotgun is important, he said. Purser said he often shoots a Browning 725 auto-loading shotgun. 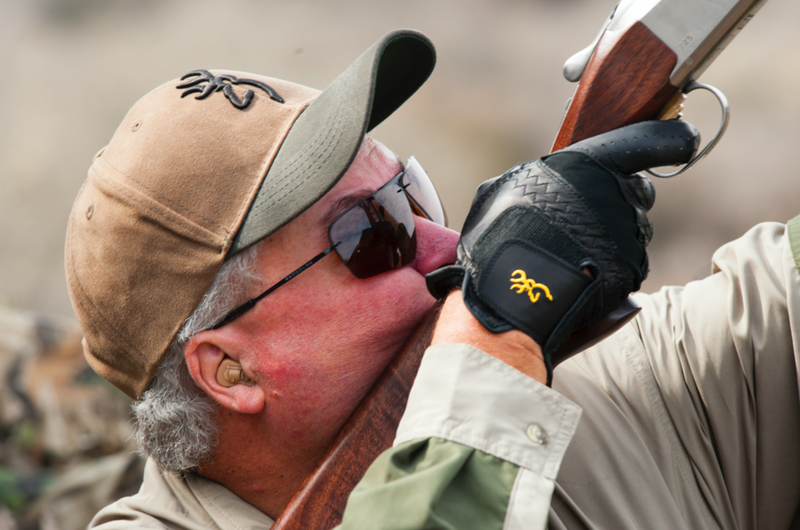 “What attracted me to that gun was the weight, balance and handling characteristics,” he said. The 725 comes with an adjustable comb so you can tweak it to fit your face properly, plus “it’s a gun that balances between your hands. The weight is not too far forward or too far back, but right between your hands where you want it. That helps the gun come up level to your eye and you don’t get that see-saw motion of a gun that’s not balanced between your hands,” he said. If the impact point doesn’t match your aiming point, you may need to shim the stock up or down to get that point of impact to match point of aim. Browning’s Maxus shotgun, another of Purser’s favorites, comes with shims for customizing the fit. “If your shotgun is not shooting where you are looking, it equates to shooting a rifle with a scope that has not been sighted in,” he said. Next is practice, and the best practice for bird hunting is to shoot sporting clays, Purser said. 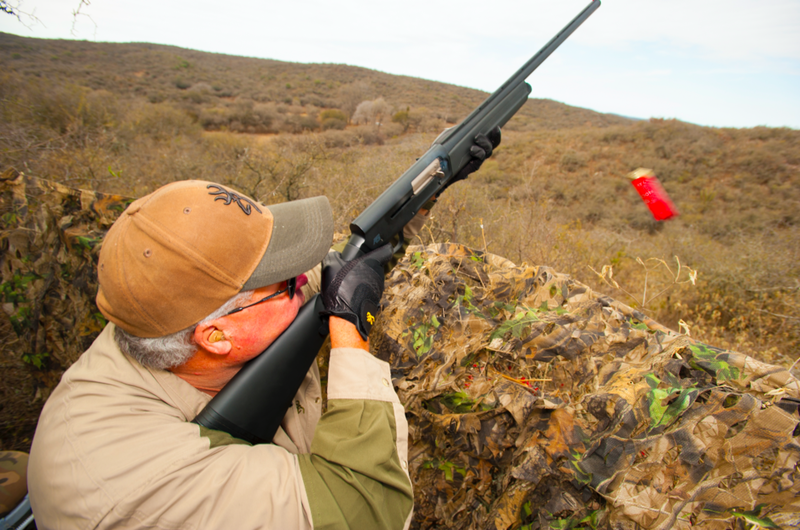 Sporting clays courses have stations replicating the flight of game birds. “If you are hunting pheasant or quail, you can shoot going away-type targets,” he said. Or, dove and waterfowl hunters should practice higher shots coming off towers. “Practice the types of shots you’ll be taking in the field,” he said. Choose your ammunition correctly and a 12-gauge shotgun isn’t the recoil-heavy beast some beginning shotgunners fear. And smaller gauges may cause frustration, not having the payload or range to knock down birds, causing what Purser calls “the iron-bird syndrome,” where birds seem impervious to shot after shot. “I recommend that after you become a more seasoned and confident bird shooter, then move down to a gauge that is more comfortable—and challenging,” he said.